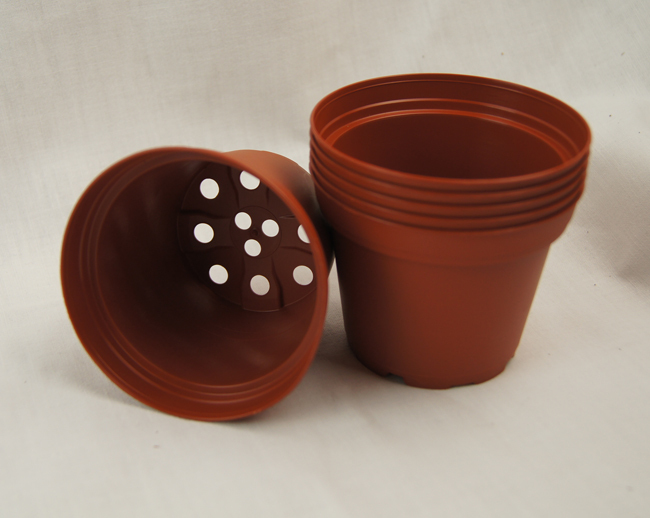 Plastic, brown pot (terracotta) for growing orchids. Made of plastic. Thicker "collar" on top of the pot gives it rigidity and stability.